Why this little known cycle route needs to be part of your Irish trip and why you should bike it the opposite way to everybody else. Everyone has a few items to tick off their bucket list when it comes to Ireland-kissing the Blarney stone, finding your perfect pint of Guinness and driving the Ring of Kerry. All incredible, and not to be missed (especially the pint! ), but sometimes it’s nice to just get off the beaten path, and onto the cycle path. 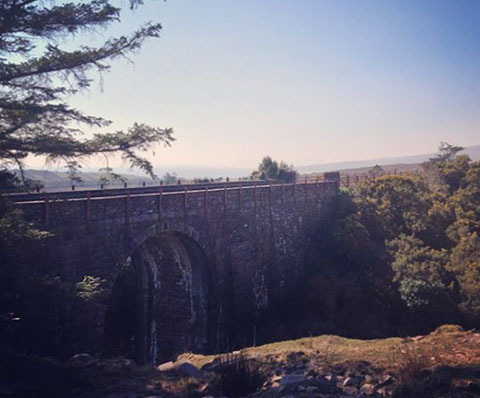 One of my favourite ever family vacations, and always my top recommendation for visitors to Ireland, the Great Western Greenway was a railway track that connected the west of Ireland in the 19th century, but was abandoned in 1937. In 2010, this old railway was transformed into a spectacular 42km long cycle route, with stunning views of Clew Bay on one side, and the mountains on the other. 42km may sound daunting, but this route is so flat that even the least fit cyclist can make it, and enjoy it. As proof, I completed this trip with my entire family, of varying ages and fitness levels. The local bike rental business is booming, and handily, most companies will drop you and your bike to the start of the trail, and pick you up at the end (42km may be manageable, but 84km roundtrip is no joke!). The trail runs from Achill island to the town of Westport, and you can ride it either way, with many choosing to finish on the island. However, we went from Achill to Westport, a clear winner in my mind, not only because there is less uphill work this way, but also because you finish in Westport town at the precise moment that you’re ready for a bag of fish and chips and a pint! Achill island is one of the best spots to get a glimpse into Ireland’s rural past, one of the few places in the country where Irish Gaelic is the primary language, and life takes on a slower pace. I highly recommend taking a moment to pause on the island and take it all in before you hop on the bikes and begin the journey across the bridges to the mainland. 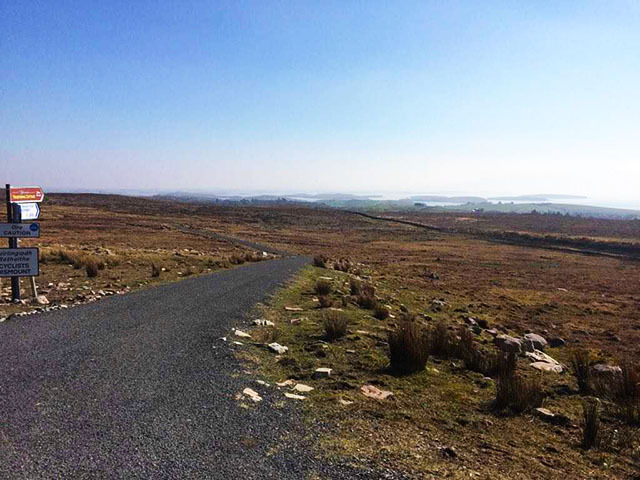 If you want to experience Ireland in its purest form, this bike ride is your best bet. When you cycle (slowly) you become a part of the landscape. The route meanders along Ireland’s Atlantic coast, passing by some of the West’s most dramatic mountains, through green, sheep-filled fields and across gorgeous stone railway bridges. The trail passes by the villages of Newport and Mulranny, so there are plenty of places to stop along the way for food. 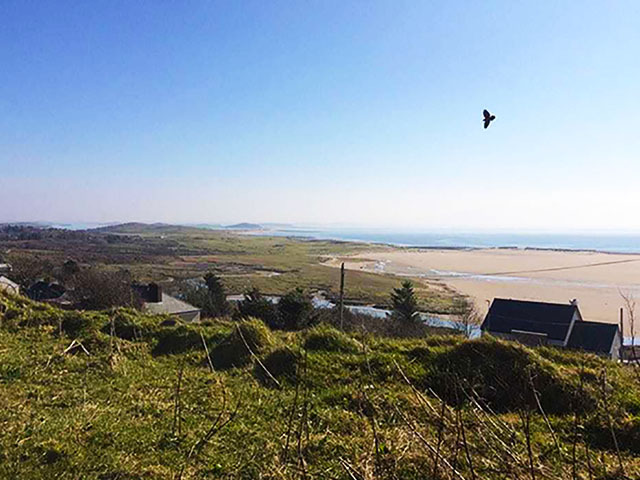 Or, you can do like us and bring a typical Irish picnic (ham sandwiches, bags of ‘Tayto’ chips, and a flask of tea) to eat overlooking Clew Bay. Some advice-don’t do like us and eat in a field with goats, or you may have some competition for your sandwiches. More advice-stop along the way for a ‘99’ ice cream-a cone filled with soft serve, and topped with a chocolate Flake bar. As traditional as the picnic, and well-earned at the halfway point. If you take it slowly, as you should, and leave plenty of time for food and view breaks, the route will take about 5 hours. 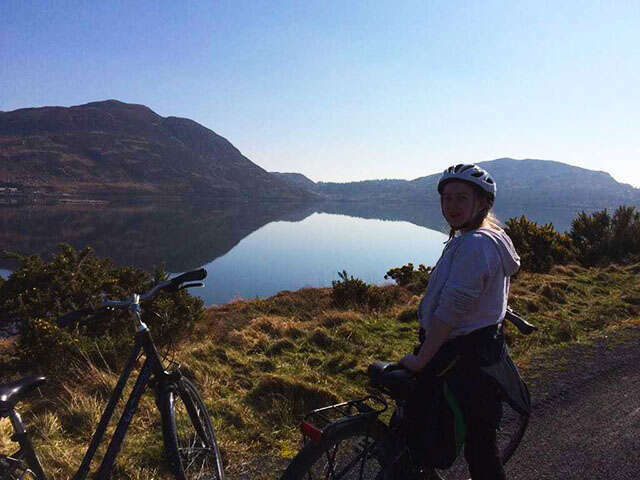 Whether you need a break from your everyday hustle, or even a break from the hustle of your trip, this one day cycle is a perfect way to slow down and experience Ireland’s landscape up close and personal. 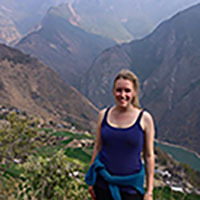 Ciara Magee is a contributing writer for UNIGLOBE Travel. Born and raised in Ireland, she has lived in England, Spain, China and now Canada. Her favourite travel activities include cycling, food and getting lost in new cities.